Look no further for your physical improvement needs! 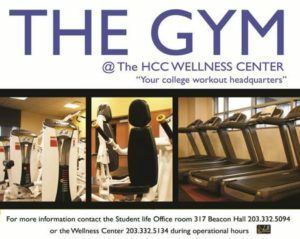 Located in Beacon Hall Room 117, HCC’s Wellness Center provides students and faculty with complimentary access to its facilities, including dozens of cardio and weight training machines. There are lockers and showers available for use as well. The gym also offers yoga and Zumba classes on occasion, so be sure to keep an eye out for upcoming sessions. In order to maintain “a safe and clean workout environment,” the Wellness Center requires members to fill out an application and watch a brief video instructing how to utilize the equipment. Marlene Kinchen, who assists Student Activities, noted that there aren’t any free weights inside due to safety measures. With its flexible hours, there’s always time to go for a run after classes or squeeze a quick session in between them! Don’t let your New Year’s resolutions pass you by yet again. 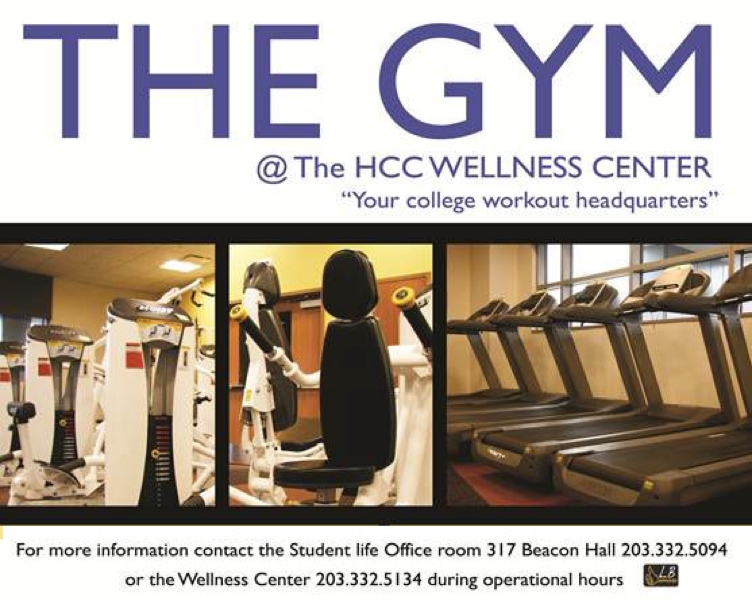 Take advantage of the free entry into the Wellness Center to stay ahead of the game. The Wellness Center is open Mondays 12:30 p.m. – 5:00 p.m., Tuesdays 2:00 p.m. – 6:00 p.m., Wednesdays 12:30 p.m. – 6:00 p.m, and Thursdays 2:00 p.m. – 5:00 p.m.